The Norwich Film Festival are delighted to be screening a selection of previously screened Animated Short Films. These films showcase an amazing variety of animation techniques from filmmakers from the UK & Europe, exploring stories and themes full of creativity and humour. These specific films have been carefully selected for those aged from 7 – 12 year olds. (Please note these animated shorts are not part of this year’s Official Selection). (Director: Steve Kirby, UK, 2 Mins) “If the cuckoo don’t crow, then you know there’s wind coming…” Brian from Melton recounts how his mother, Doris, was the woman who famously predicted the October 1987 hurricane and phoned the BBC, but was told not to be so daft. This very short animation was created in response to a recording of Brian’s phone-in to a Suffolk local radio show hosted by Nick Pandolfi in 2012. (Director: Liam Harris, UK, 10 mins) Hamish Fint, a crotchety old man used to a life of seclusion inside his submarine balanced precariously atop a mountain, struggles to maintain equilibrium when an unwelcome visiting seagull rocks his world. 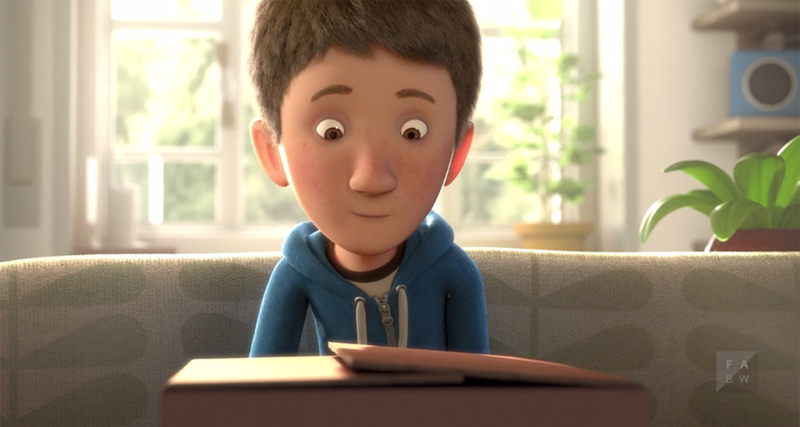 (Director: Mads Johan Øgaard, Norway, 6 mins) The animated short film I AM DYSLEXIC expresses what it feels like to have a learning difference in our current school system. The film uses strong metaphors to portray these emotions, as we follow a little boy in his journey to climb a mountain in a world made of books. (Director: James Ivett, UK, 4 Mins) A young girl wakes to find herself surrounded by floating screens, visualising the outcomes of every thought she has as she gets lost in a surreal world of missed opportunities. (Director: Daniel Greaves, UK, 2 mins) An object lesson of when life weighs you down. (Director: Jacob Frey, Germany, 5m) Jake spends most of his time playing videogames indoors until his mum decides to give him a present. (Director: Henning M. Lederer, Germany, 1m) Please welcome Ernest! (Director: Brit Raes, Spain, 12 mins)Catherine loves pets! But most of all, she lovers her cat. As she grows up, she can not connect with people. Her cat is her life, but will this crazy cat lady ever find friendship? (Director: Daniel Greaves, UK, 10 Mins) An under appreciated mime artist’s routine blurs in to reality with a series of near misses that result in a fateful encounter for Mr. Plastimime. (Director: Jacob Frey and Harry Fast, Germany, 5m) Bob tells the story of a little hamster that tries to follow his true love around the globe. Can he catch up? Please note that we advise that parents/guardians stay with their children during these screenings.